The world of Lego is a fascinating place for kids of all ages. Their sets of colourful building blocks have been enticing our imaginations and providing easy outlets for our creativity for 70 years. This is something that the Danish toy label continues to excel at with their creative lego packages ranging from the long-time classic favorites like double decker buses to the Hollywood inspired Star Wars, Batman, and Jurassic World action sets. 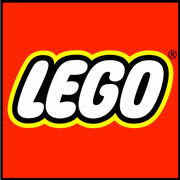 Lego lets your secret worlds come alive, whether you are 5 or 65.